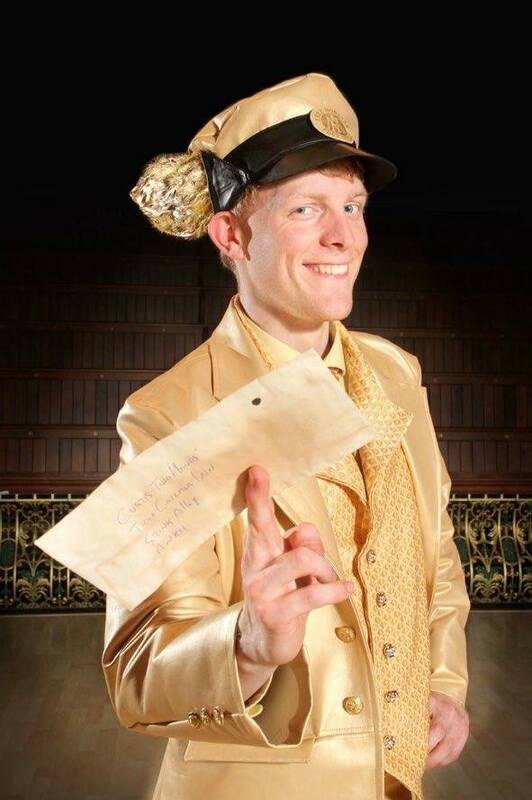 Gold suits, golems and undelivered mail. On Friday night we went to see Monstrous Productions‘ latest play, Going Postal. We read the book once we found out this would be the next play performed by the Cardiff-based theatre group. We never miss a play and each time it gets bigger and better and we wonder how the hell they’ll pull the next one off, as they get more ambitious every time. But they always do, with a brilliant cast and crew and a minimal set that really works. The Gate arts centre is the perfect venue for it. 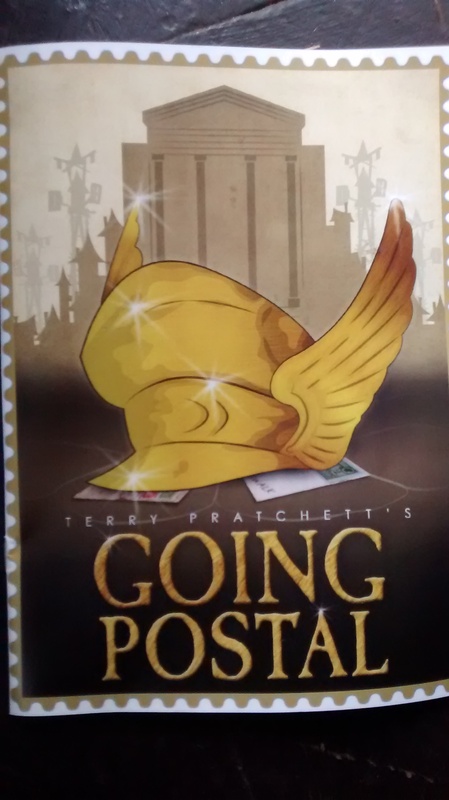 Directed by Amy Davies and Edward Thomas, Going Postal tells the story of Moist Von Lipwig – con artist extraordinaire. 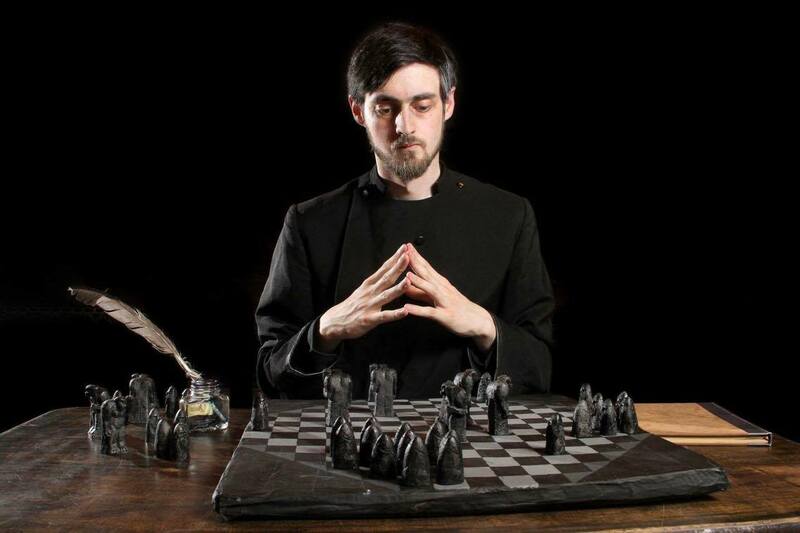 He’s due to be hanged for his crimes but Lord Vetinari, played brilliantly by Michael Dickinson-Smith decides to hire him as the new Postmaster. Well he has two choices – be the new Postmaster or walk out the door and into a pit. He decides being the Postmaster is a better option. About five previous postmasters have all died. Health and safety just isn’t up to scratch. The problem is, the post hasn’t been delivered in fifty years and the letters aren’t happy about this. Then there’s the Grand Trunk and their clacks towers to contend with and they’re not exactly pleased about the post office opening back up and stealing their business. The hanging scene was one of our favourites in the book and it still made us laugh. 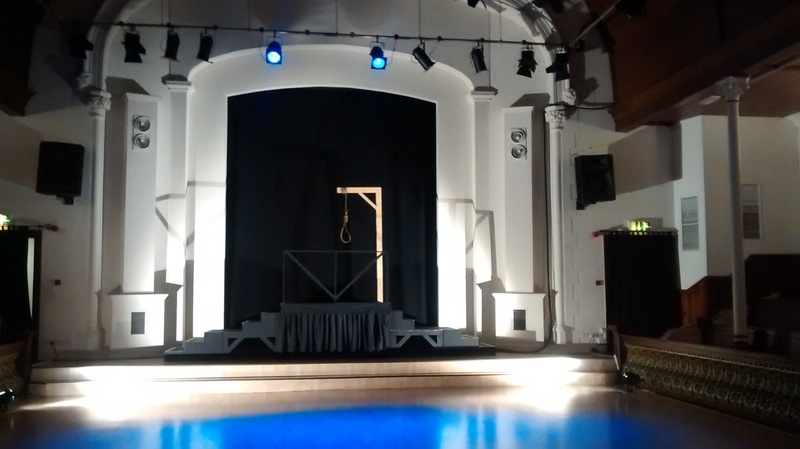 The gallows humour is exactly our type of humour so we were pleased it was performed so well. Asher Townsend, who plays Moist, was fantastic. He captured his cheeky character perfectly, even down to his smile, which often made the audience laugh. And his gold suit stole the show. The golems were a particular favourite of ours and their costumes were amazing. It’s not easy to bring a thousands’ year old pottery creature to life! Moist’s scenes with Adora Bell Dearheart were always entertaining. Ellen Warren, who played Miss Dearheart was perfect for the role. She was exactly how Miss Dearheart should be. Josh Flynn, who played pin-obsessive Stanley and Neil Chappell who played Reacher Gilt’s assistant Igor, got the most laughs. Josh’s hyperactive portrayal of Stanley was hilarious. Pete Belsen did a great job as Junior Postmaster Groat. We liked that the tradition of Nick (who played Reacher Gilt) dying in every role was continued. Even if it was off stage! As usual, he was brilliant and we loved his costume. Michael’s deadpan performance of Vetinari was spot-on. He had the dry sense of humour down perfectly. 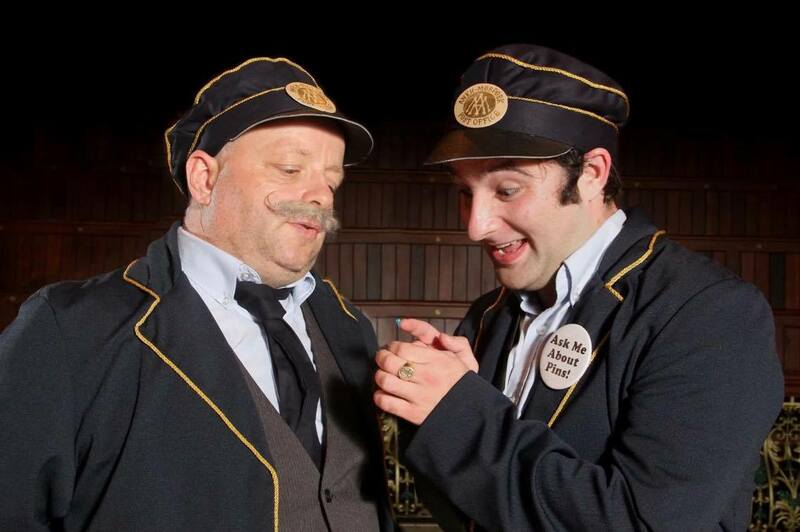 We’re always astounded by the quality of acting in these productions, as well as the costumes and set props. It’s clear how much fun everyone has doing this. Not only that, but the money raised goes to charity and so far, Monstrous Productions have raised over £20,000 for Alzheimer charities. If you’ve never seen one of these plays, please go to the next one. Even if you’ve never read Pratchett, you’ll love it. Thanks to Amy and Craig for letting us use your photos in our blog. 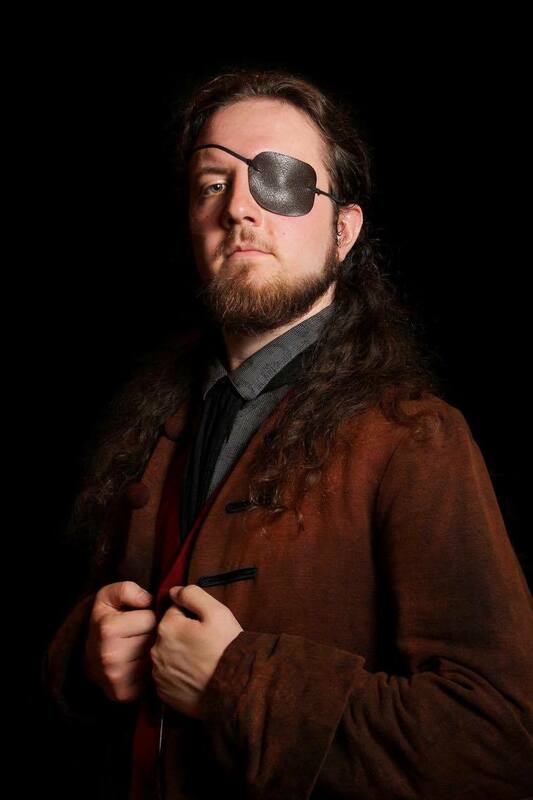 We think Sir Terry Pratchett would be proud to see his work performed so brilliantly by true Pratchett fans. The next play will be The Amazing Maurice and his Educated Rodents. We’re excited already!